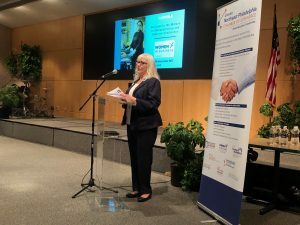 Women in Business, Manufacturing and Industry - J.J. White Inc.
PHILADELPHIA,PA- On Wednesday November 14th the Greater Northeast Chamber of Commerce held an event at Cardone Industries. The event focused around Women in Business in the Manufacturing and Industry Sector. The event offered beneficial information from the region’s top experts on finance, health, sales, legal and the overall business culture. The conference held today is supplementary to the Women in Business Conference held in April. Attendees had the opportunity to network and create possible business connections with other chamber members before the event began. 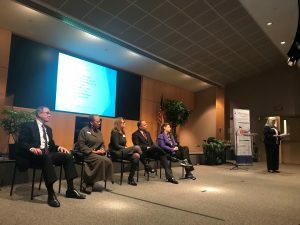 This gave attendees the opportunity to meet other members that they do not usually interact with or get face time with some of the speakers before the event began. JJ White is happy to be a part of the Chamber, and attend events in our local area. These events give us insight in to the up and coming trends in the business world that our company can begin to integrate in to our everyday work.